Not a day or two goes by that I don’t discover iron deficiency in my patients. In many cases, people are tired, depressed, forgetful, out of breath, and don’t know why. In many cases, all they need to do is take an Iron supplement or add iron-rich foods to their diet. 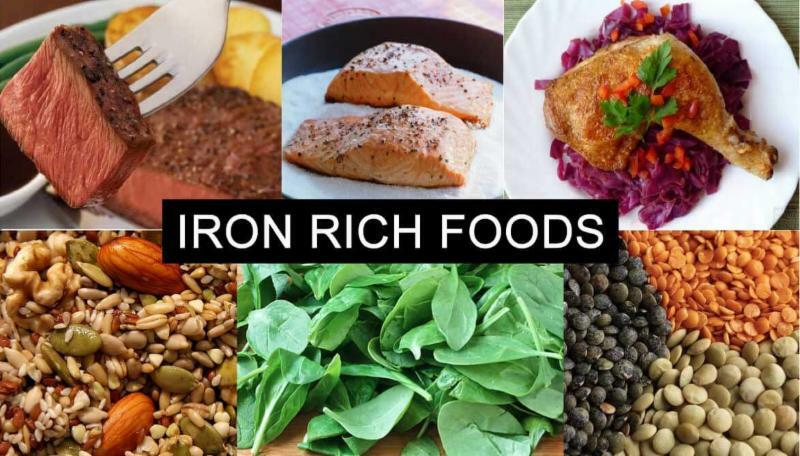 About 10% of women of reproductive age and 7% of girls and women over 50 are considered iron deficient based on conventional diagnostic criteria, defined as having a low ferritin (less than 10 micrograms/liter) or other measure of iron. About 1% of young men have iron deficiency — these levels go up significantly in older men and women, due to chronic disease and blood loss from bleeding in the digestive tract. My clinical experience has shown that a much higher percentage is iron deficient, based on symptoms, and that a cutoff of 30 micrograms/l is much more reasonable. I am aggressive in treating iron deficiency, as I see improvement so quickly with such a simple intervention. The MINIMUM daily requirement of iron for men is 8 milligrams and 18 milligrams for women, with 27 mg required during pregnancy. In women of reproductive age, menses are the main cause for iron deficiency. If a woman’s period is heavy, lasting more than four days, she may develop iron deficiency even if she eats meat and other good iron sources. Other common causes of iron deficiency are: malabsorption of iron, commonly seen in Celiac Disease, chronic blood loss due to an ulcer, hemorrhoids or other causes (see your doctor to determine the cause), or eating foods that interfere with iron absorption, such as tea or dairy (calcium can block iron absorption). If you’re tired and don’t know why, get tested. Iron tests are standard and typically covered by insurance. If I find iron deficiency, I will certainly investigate possible causes other than diet alone. Once we have determined the cause of your deficiency, treatment with iron supplementation is the best way to restore you to “your old self.” I start with 25-75 mg day, depending on the patient’s levels. I use an iron supplement which is non-constipating and also contains B12 and Folic acid to help generate red blood cells. I may add 500 mg of vitamin C to the iron to help with absorption. I would then retest your iron in 1-3 months to see how your levels are improving, adjusting your iron dose accordingly. Many of my patients take one or two iron capsules daily on an ongoing basis, keeping their levels steady. Get blog updates direct to your Inbox! CALL TO ACTION: PLEASE READ. THANK YOU!